A brief time of public sharing will start at 6 PM. Visiting and refreshments will follow for the rest of the evening. Envelopes and a dropbox will be available at the gathering. Ask anyone who knew Ronald Stevens and they would tell you that he was the sort of person who would do whatever he could for someone else, no questions asked. He worked hard, but he played hard, too, and his zest for life was easy to see. Although quiet, Ron enjoyed sharing a conversation after having a cold one. A loving family man, he loved nothing more than being surrounded by the children and grandchildren he treasured. Ron liked traveling and saw some amazing places, but it was sharing these experiences with his loved ones that made these moments so extraordinary. Deeply loved, he will be forever missed by many! During the latter half of the 1940s, America was making the shift to being a nation at peace once again. After the end of WWII, rationing became a thing of the past, manufacturing was no longer needed to support the war effort, and the baby boom was underway. Amidst this eventful time was a time of great celebration in the lives of Frederick and Marian (Newman) Stevens as they announced the birth of the baby boy they named Ronald LeRoy on February 21, 1949, in Grand Rapids, Michigan. 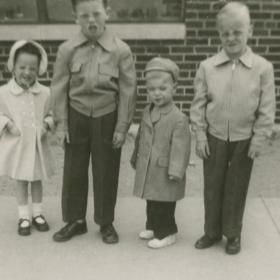 The second of six children, he was raised in the family home on the Northeast side of the city alongside his siblings, Bill, Susan, Fred, Wendy, and Greg. In many ways Ron was a young boy of his generation. He had a mischievous side but wasn’t really the trouble making kind as he was more just a lot of fun to be around. 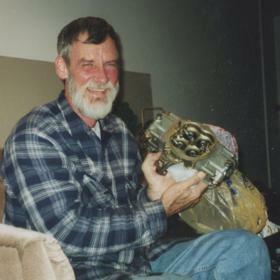 From a young age Ron loved his cars including working on cars, and he loved fast cars, too. He attended local schools including Palmer Elementary and then Creston High School where he was part of the ROTC. This experience made an impact on Ron as he had a deep respect for the flag and always went out of his way to thank veterans he saw for their service. He graduated from high school in 1967. Not to be forgotten during Ron’s days in high school was his introduction to the woman of his dreams. Her name was Cheryl Karston, and she was a fellow classmate. They began dating, and it didn't take them long to fall in love. 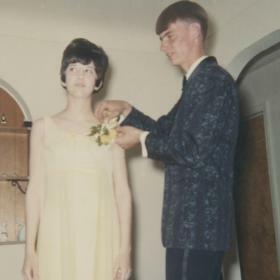 With a desire to spend the rest of their lives together Ron and Cheryl were married on September 23, 1967, at Fourth Reformed Church. The newlyweds moved a bit during their early years of marriage as they lived on both Bostwick Lake and in Wyoming, but they later settled into their home of 38 years on Filkins Drive. Together they welcomed four children including Brian, Bruce, Monica, and Jessica, into their hearts and home over a period of seven years. Ron took his role as a father to heart. He was always available for his kids, and he was there to support them in all their activities and events. Later in life Ron did the same for his grandchildren. He was strict and firm, but not in a loud way as his children just knew that he meant what he said. They knew not to cross the line and were very aware of what the consequences would be if they did. As a family they enjoyed vacations in the UP where Ron’s brother lived whether it was for skiing in the winter or camping in the summer. They also trailered their boat to local lakes and enjoyed time on the water, often on Wabasis Lake and on Hardy Pond of the Muskegon River. Even though Ron never was comfortable swimming, he did learn to water ski. In supporting his family, Ron was a hard worker. He started working at Shell Oil and managed gas stations for several years. At times, Ron also did some roofing work with his uncle to bring in some extra income. He then found his longtime employment at General Motors where he spent more than 30 years working primarily as a machine oiler. As someone who was very mechanically inclined, this was a great fit for him. Over the years Ron worked in several different shifts, moving to third shift when Cheryl started working so that he could be home with the kids as they didn’t want to leave them with a babysitter. In addition to spending time with his family, Ron enjoyed spending time with his friends and extended family members. He and Cheryl liked being with their longtime friends, some friendships being established when they were in high school or even earlier. These friends often got together for card parties, picnics, and even vacations. For years Ron got together with some high school friends for breakfast. Every year, the men in the family would plan at least one fishing trip, usually timing the trip around the walleye season opener. There was also the annual trip to deer camp, which was more about the relationships for Ron. 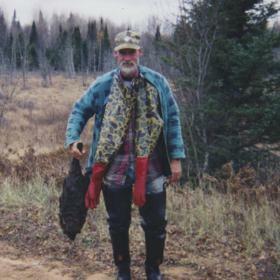 He also loved trapping, even earning the nickname of Trapper Ron as he would go to the UP to trap. He was thrilled to be a grandfather and enjoyed fishing with the boys, including his grandsons. Ron was affectionately known as "Poppy" to Lindsay. For years the family all gathered at their home on Sunday afternoons for dinner. Since most of the kids lived close there was also regular impromptu visits. Throughout his life Ron was one to keep busy. A significant part of his life was time spent in the garage and the race track. He built his race car from scratch in the garage. The kids would sometimes help or watch, but on Saturday mornings there was no sleeping in as the noise from the garage made it impossible. Ron raced at Crystal Motor Speedway, earning a winning reputation there. Most nights after work he could be found tinkering in the garage as he was always fixing something whether his car, or anything else that someone might have brought by since Ron was always willing to drop everything to help someone. He could fix just about anything both in the house or in the garage, and he was meticulous and organized with a place for everything as there was simply no room for a mess. Ron liked watching sports including his grandchildren as they were in football, hockey, lacrosse, soccer, and volleyball. He would tune in to a Redwings game or Detroit Tigers game and was an avid Nascar fan. Ron and Cheryl did some traveling including trips to Scotland and trips on Route 66 as they both loved road trips, however, Ron’s favorite was his trip to Alaska. He loved his Pepsi, for years carrying one in his back pocket. Moon pies, M&M’s, and stale Peeps were also favorites. Conversation was always better after one of his favorite beers, either an Old Milwaukee, or even better – a free one. Ron Stevens was a man’s man who seemed to know someone wherever he went. He was polite, courteous, and more quiet and reserved, yet he wasn’t afraid to greet someone with a firm “hello.” A loving family man and loyal friend, Ron will be forever missed. 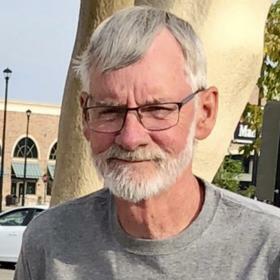 Ron Stevens, age 69 of Grand Rapids, passed away August 7, 2018. He is survived by his wife, Cheryl; children Brian & Jodi, Bruce, Monica & Jeremy Taylor, Jessica & Joe Antonucci; grandchildren Colton (Lindsey Levitt) Stevens, Riley (Madi Fox) Stevens, and Lindsay Taylor; siblings Bill (Elaine) Stevens, Susan (Ralph) Cross, Fred (Donna) Stevens, Wendy Marshall and Greg Allen; several nieces and nephews; with special mention of Scott (Jo), William Jr. (Jenn) Stevens; as well as many friends. Friends are invited to gather with Ron's family to celebrate his life at the Rockford Sportsman's Club, 11115 Northland Dr NE, Rockford, MI 49341 on Monday, August 13 where a brief service will begin at 6 PM followed by a time of visiting and refreshments until 8 PM. In lieu of flowers, please consider a memorial gift to the Walleyes for Warriors, P.O. Box 139, Bay City, MI 48708 (envelopes available at the gathering). To read more about his life, to share a memory or to sign his guestbook, visit www.lifestorynet.com.